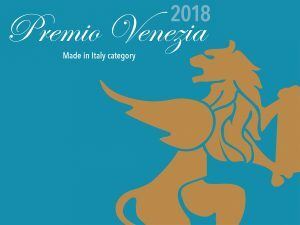 The Premio Venezia Made in Italy category honours companies that promote the quality and authenticity of Made in Italy products, and that integrate this notion into their business model. Leader in the bathroom plumbing industry for over 30 years with a vast network of 2000 retailers and wholesalers, AD Waters sets itself apart by promoting Italian companies that thrive on the quality, know-how and innovation of their products… features for which Made in Italy is renowned. AD WATERS has developed considerable expertise and know-how on the North American market. Their research and development department specializes in the customization of products for the North American market together with its partners that are among the greatest Italian brands – Aquabrass, Simas, Italian Bathware and Rubinetterie Treemme. Innovator in the kitchen and bath industry for over 30 years, Aquabrass combines European savoir-faire and American practicality. Their expertise and craftsmanship are second to none. But the flair they add to functionality is what truly sets them apart. An Italian manufacturer of modern and cutting-edge bathroom products specializing in ceramic designs handmade exclusively in Italy. The brand boasts a dazzling collection of basins, toilets and vanities. Proudly made in Italy, Italian Bathware’s bold creativity stems from a love for their culture, country and strong values. Audacious faucet designs that will undeniably make a statement in your bathroom décor. For 50 years, Treemme has been defining the standards in the faucet industry. Never having steered away from the foundations of their success, quality and design, Treemme offers award-winning modern inox collections without neglecting its classic lines.